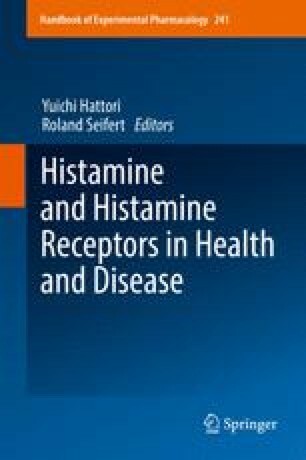 The endogenous metabolite histamine (HA) is synthesized in various mammalian cells but can also be ingested from exogenous sources. It is involved in a plethora of physiological and pathophysiological processes. So far, four different HA receptors (H1R–H4R) have been described and numerous HAR antagonists have been developed. Contemporary investigations regarding the various roles of HA and its main metabolites have been hampered by the lack of highly specific and sensitive analytic methods for all of these analytes. Liquid chromatography coupled with tandem mass spectrometry (LC-MS/MS) is the method of choice for identification and sensitive quantification of many low-molecular weight endogenous metabolites. In this chapter, different methodological aspects of HA quantification as well as recommendations for LC-MS/MS methods suitable for analysis of HA and its main metabolites are summarized.